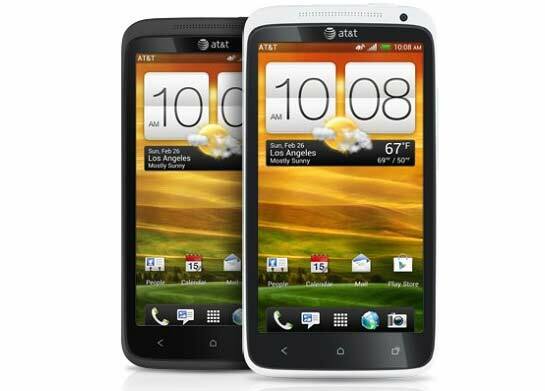 AT&T officially announced the pricing and availability of the 4G Android HTC One X. Interested one can place pre-order from April 22, with retail availability scheduled for May 6. And luckily enough for us they are not charging more than $199.99. HTC One X requires a new 2-yr wireless agreement with voice (min $39.99/mo) and min monthly data plan ($20/mo). I feared earlier that they will ask $250-300 for this giant. As you probably know, the HTC One X for AT&T differs significantly from its international version. The U.S. bound device packs a Snapdragon S4 chipset with two Krait cores, clocked at 1.5GHz - a sharp departure from the Tegra 3 of the international version.